Heraldry has been defined as the systematic use of hereditary devices centred on the shield. 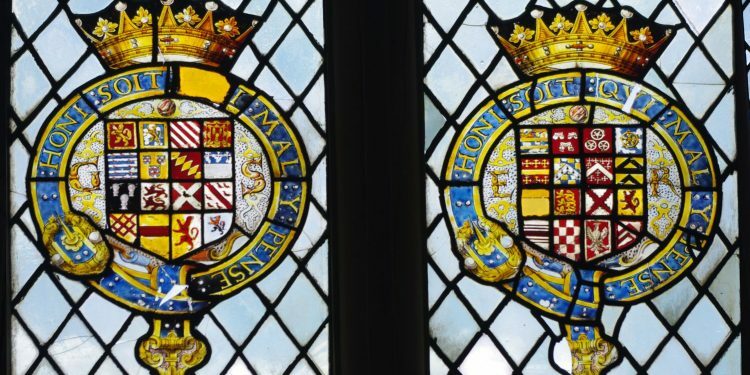 The first known heraldic shield dates to the second quarter of the twelfth-century, since which time the rules of heraldry have continued to evolve, a process which is still ongoing. The possession of personal arms has always been a mark of great honour, linked to social status, and was initially confined to high ranking knights and noblemen. Other accoutrements worn or carried by knights in battle are considered as adjuncts to heraldry. These include the crest and the banner. The badge is a quasi-heraldic device used as an alternative to the shield. 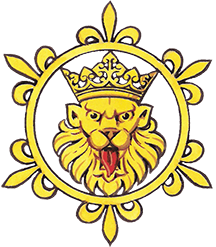 Initially it was worn as part of the livery by the retainers of a nobleman, whose heraldic supporters were often based on such badges. ABOUT COATS OF ARMS: some basic terminology of the blazon. COATS OF ARMS UNLOCKED: the helm and its attributes: crest, mantling and wreath; supporters, and the compartment on which they stand, and finally, mottoes. THE HIERARCHY OF HERALDRY IN ENGLAND: Coats of arms are granted by the Crown, acting through the Earl Marshall and the College of Arms.